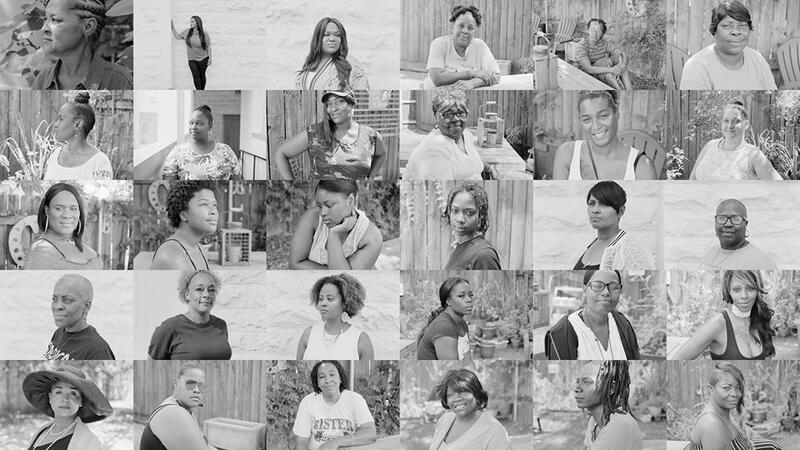 The exhibition “Per(Sister): Incarcerated Women of Louisiana” is opening Saturday, Jan. 19, at the Newcomb Art Museum with an afternoon of family activities and an evening of conversation, performance and celebration. For this exhibit, Newcomb Art Museum has partnered with formerly incarcerated women, community organizations, stakeholders and those directly impacted by the prison system to create “Per(Sister),” which is intended to share the stories of currently and formerly incarcerated women in Louisiana, and shine a light on the myriad issues as identified and expressed by the women themselves. 2 to 4 p.m. – (In Woodward Way and the Museum) Museum-goers of all ages are invited to engage with the exhibition at our friends and family afternoon. Activities will include tie-dye, a scavenger hunt, make your own message in a bottle, a rhymes, rhythm, and rock workshop (at 3 p.m.) led by Young Audiences of Louisiana. 3 to 4:30 p.m. – (in front of the museum) Join artist Jackie Sumell for a community planting as we add flowers chosen by currently incarcerated mothers to Sumell’s installation A Solitary Garden for Incarcerated Moms. 4 to 4:45 p.m. – (in Woodward Way) Come meet representatives from our community partners at an organization fair and learn ways you can volunteer and get involved. 4 to 4:45 p.m. – (in the Museum) Journey into the museum for a reading of INK, a literary magazine produced by Tulane students and incarcerated students at the Lafayette Parish Correctional Center led by Tulane Professor Zachary Lazar. 4:45 to 5:30 p.m. – (In Freeman Auditorium) Kick off the evening’s events with a performance from The Graduates, an ensemble comprised of former members of the LCIW Drama Club who build awareness of mass incarceration and racial injustice. 5 to 5:30 p.m. – (In the Museum) Children ages 5 and under are invited to take part in an interactive storytelling activity led by Young Audiences of Louisiana. 5:30 to 6:45 p.m. – (In Freeman Auditorium) Learn all about the exhibition, the women involved, and the process of turning these incredible stories into art during a panel featuring Syrita Steib-Martin and Dolfinette Martin, PerSisters and co-producers of the exhibition, Laura Blereau, Newcomb’s curator, and Allison Beonde, photographer; moderated by Monica Ramirez-Montagut, Newcomb’s director. 6:45 to 8 p.m. – Finish the day with a celebratory reception that includes a featured performance from Cherice Harrison-Nelson Big Queen of the Guardians of the Flame Mardi Gras Indians with PerSister Zina Mitchell, free food and drinks! The events take place on the Tulane University campus. Newcomb Art Museum is in the Woldenberg Art Center, Newcomb Circle. This event is free and open to all. Email museum@tulane.edu or call 504-314-2406 with questions.